[Press release] The month of August has been earmarked for the full reopening of the Soufriere Hospital following the forced closure by the recent fires at the facility. 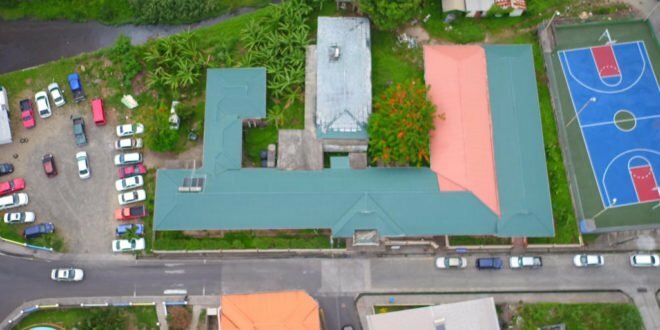 The Soufriere Hospital was officially handed over to the Ministry of Health and Wellness one month ago following the second major fire at the facility on December 2nd 2017 which damaged a small section of the hospital. Assistant Principal Nursing Officer, Tecla Jn Baptiste noted the effect the disruption in services has had on clients from Soufriere and environs. Primary healthcare services were relocated to St. Isidore’s Hall while urgent care services move to the Etangs Wellness Centre. She was happy however to relay some positive news. Officer in charge of the Soufriere Hospital, Alicia Alexander said clients within Soufriere and environs will soon see the return of maternal, women and child healthcare services, medical clinics and pharmacy services at the hospital. She thanked the clients for their patience and understanding over the past months. The scheduled time frame and scope of the project was explained Monty Emmanuel, Engineer with the Ministry of Health and Wellness. Both staff and clients of the Soufriere Hospital keenly anticipate the reopening of this facility. are and why, and what is at work, it’s very evil. Their target is obvious, you hear it everyday.